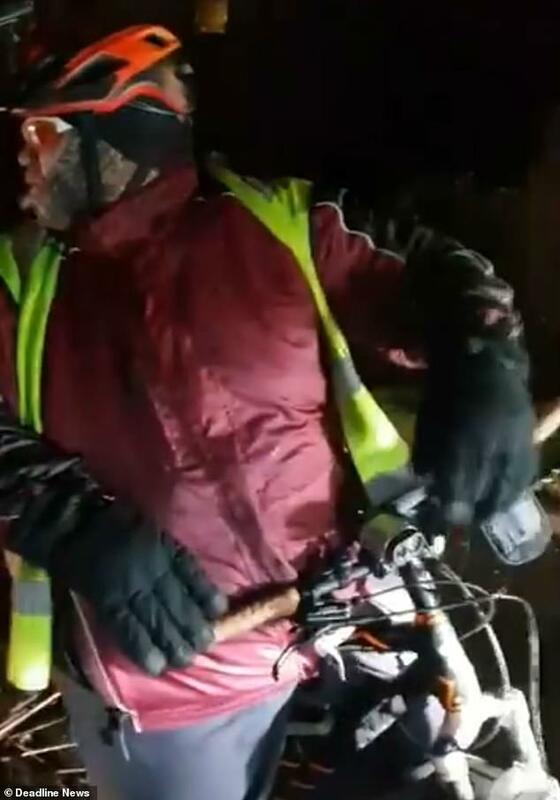 During the clip, the motorist insists that it was his right of way but the cyclist disagrees and tells him to have some respect for the ‘smaller user of the road’. The footage, believed to have been filmed in Shoreham, West Sussex, was uploaded to a public Facebook page dedicated to bad driving on Tuesday but has subsequently been removed. 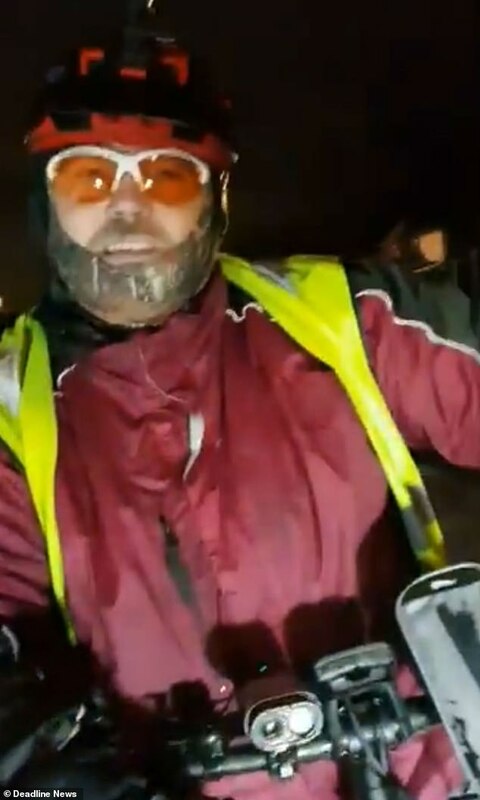 The driver then asks the biker to stop swearing and ‘goading’ him, but the biker only becomes more irate, making the the claim that ‘all motorists are pr**ks’. As trapped drivers sound their horns in frustration, the pair continue swapping insults with each other. The clip was posted by Steve Bartholomew, although it is now known if he filmed the incident. 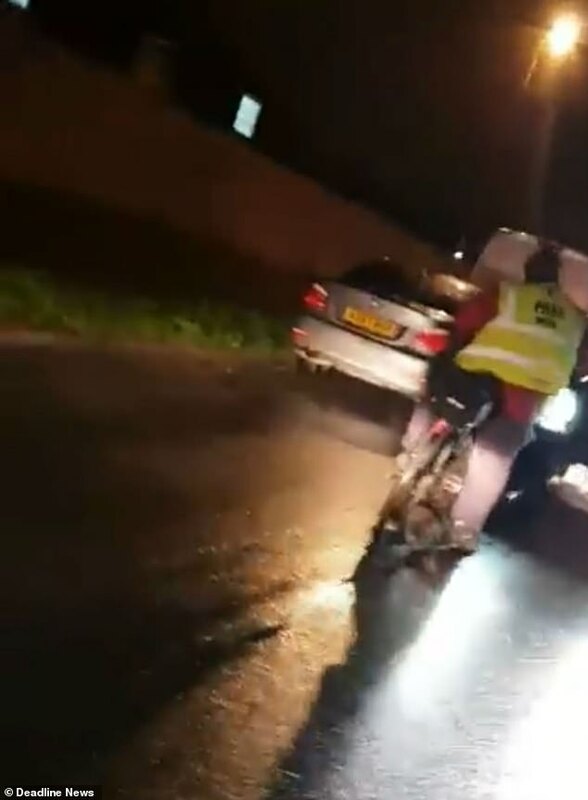 The caption with the video read: ‘As I am in the business of making enemies at the moment I came upon this road hog of a cyclist. 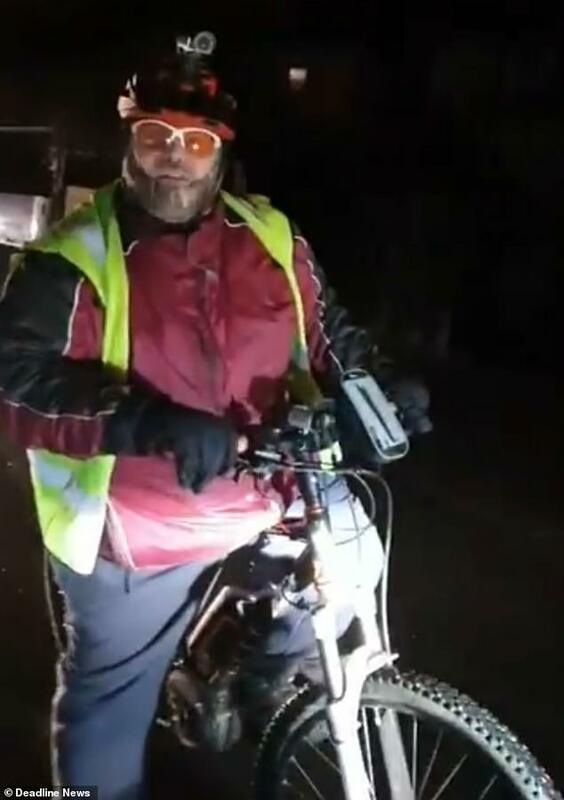 ‘This man thought cause he was a wide load, he could barge his way through. ‘I am losing faith in people fast and a damn shame it wasn’t just me on my own.